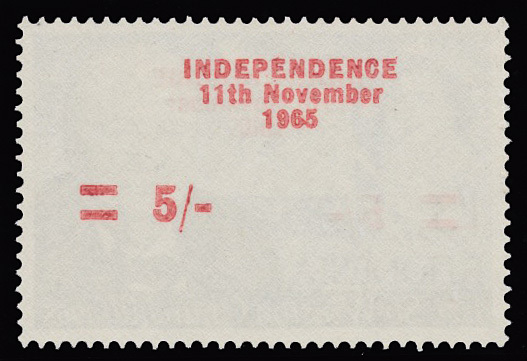 1966 5/- on 1/3 Churchill Independence overprint, OVERPRINTED BOTH SIDES. Superb unmounted. RARE. SG 373 var.